Buy our gift certificate online and print at home. Gift certificate are the perfect solution for tattoo fanatics and make a great gift for friends and family. Once purchased you will receive an email containing a download link for your gift certificate. 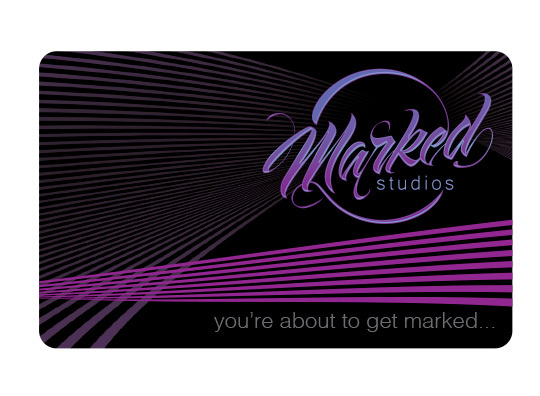 Gift certificate can be redeemed at Marked Studios physical location only, and are not valid for online purchases. Gift certificates will have a two-year expiration date from the date of purchase.